Q. 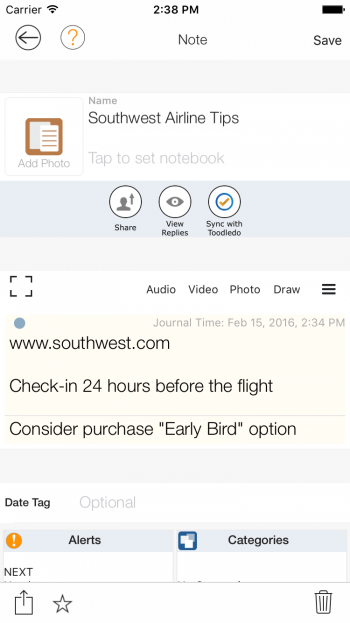 How do you sync online Notes? You are here: Home / LifeTopix / Common Questions / Q. 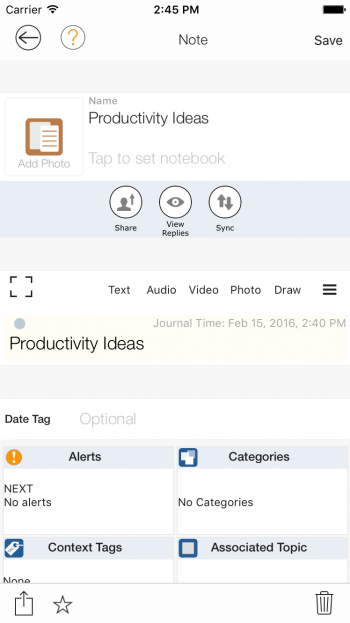 How do you sync online Notes? 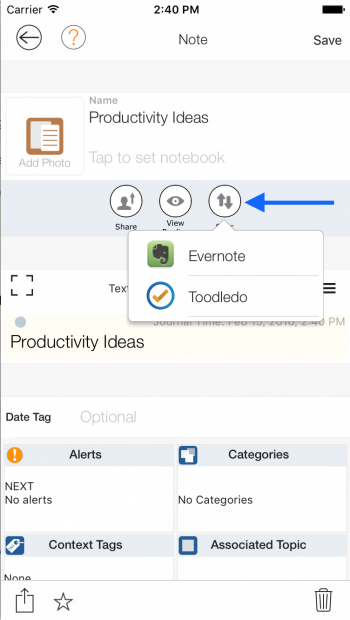 One of the unique aspects that our Evernote/Toodledo note integration provides is the ability to use a Evernote/Toodledo note (by sync’ing it to a local note) within the context of any topic object. 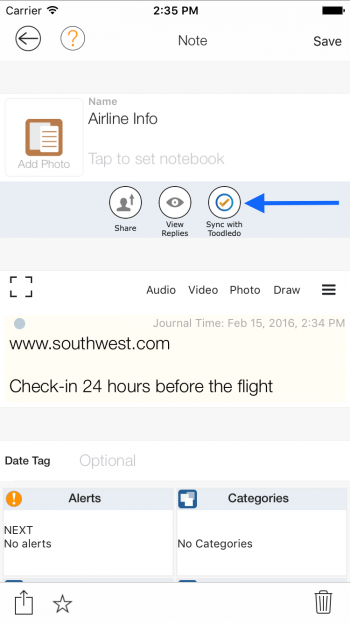 For example, you can have a Project or an Event or a Service Provider or a Trip in LifeTopix that contains a Evernote/Toodledo note with appropriate location, context tags, categories, etc., just like a local note. Online Notes sync process currently is manual. 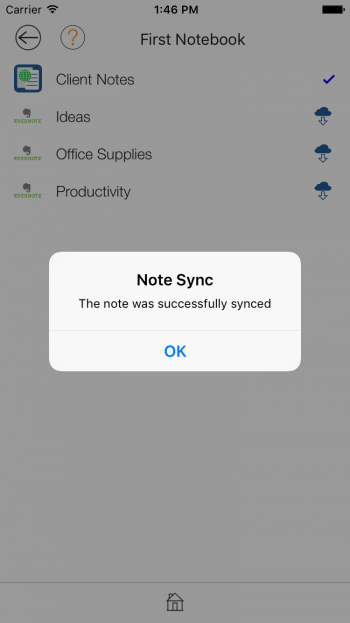 It only happens on a per note basis when you open a synced note and save it in LightArrow Organizer. 1. From the Dashboard view scroll down until you see the “Digital Content” card. Scroll through the tiles until you see the “Online Notes” tile, and then click on that tile. 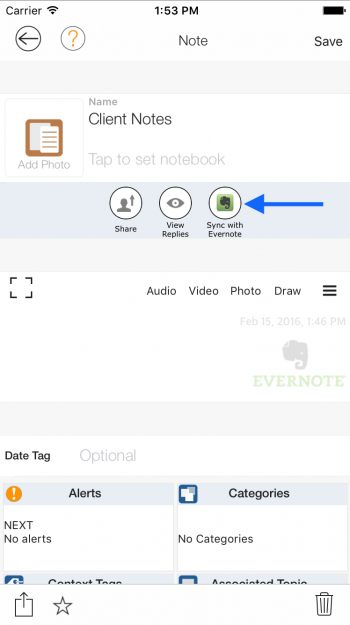 From the “All Online Notes” view you can sign in to Evernote and/or Toodledo by tapping the “Sign In” button. 2. 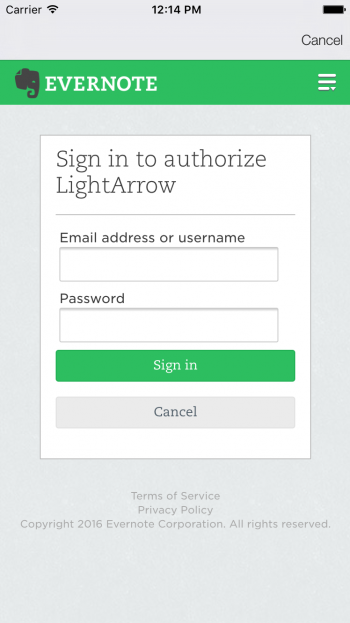 After tapping the “Sign In” button for Evernote login using your credentials. 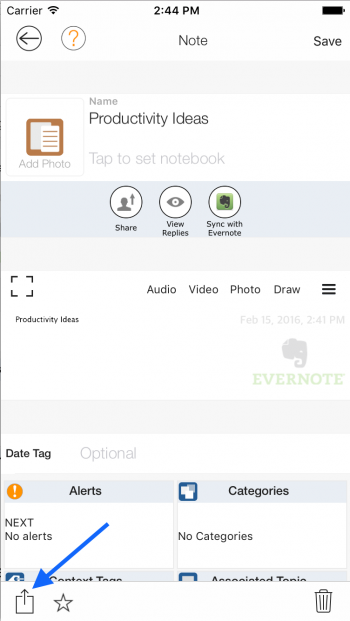 After signing in and authorizing you’ll see your Evernote notebooks on the “All Online Notes” view. Next tap a notebook, in this example it’s “First Notebook”. 3. 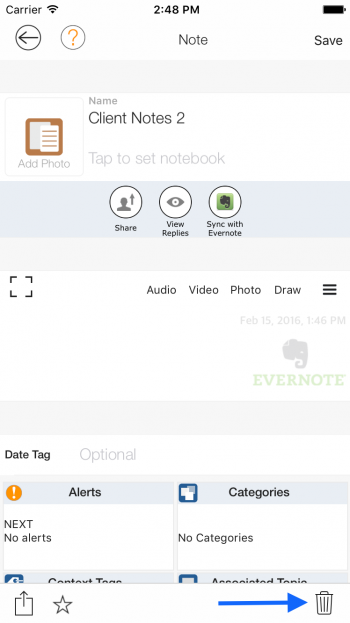 Next after tapping one of the notebooks you’ll see a list of online notes for that notebook. 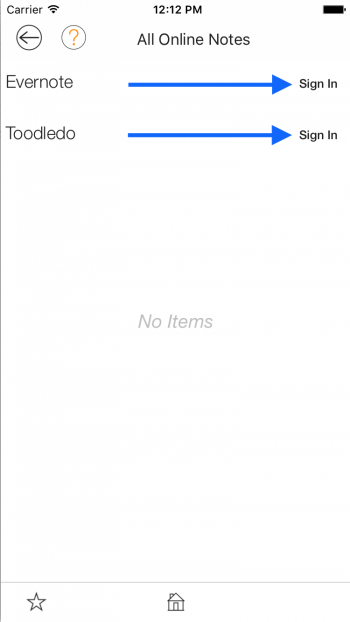 Tap the download button to sync the note with LightArrow. After it’s finished you’ll see a prompt that says the note was successfully synced. 4. From the dashboard view tap the “Notes” tile thats in the “Digital Content” card. 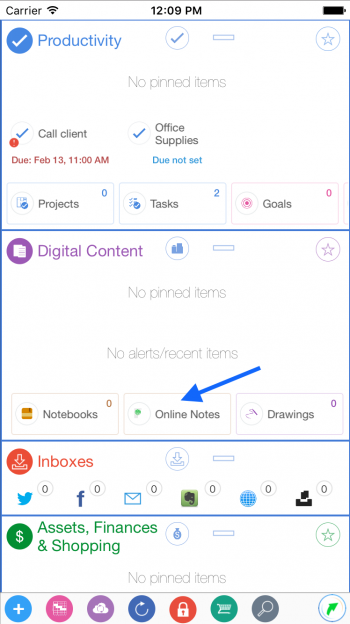 From the “Notes” list view tap a the note and then tap the “Open” button. 5. 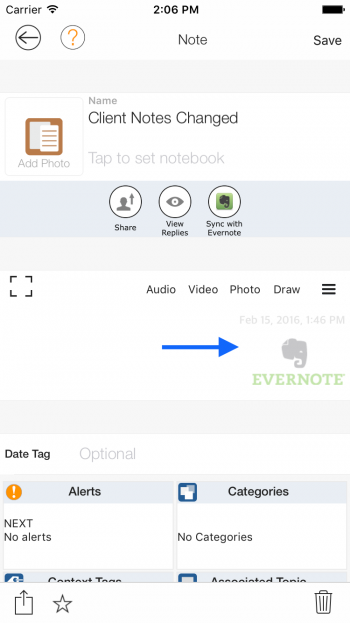 From the Notes detail view you’ll see the “Evernote” icon in the toolbar. 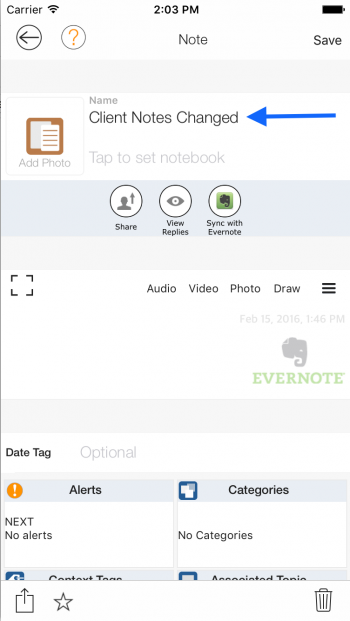 Evernote note sync keeps the content in Evernote and displays the thumbnail of the Evernote note in the online note body and syncs the title. 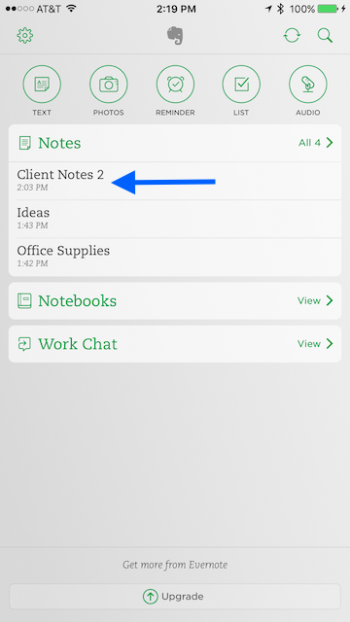 If the title has changed from the Evernote App or website and you tap the “Sync with Evernote” button the changed title will show up in the “Note” detail view. 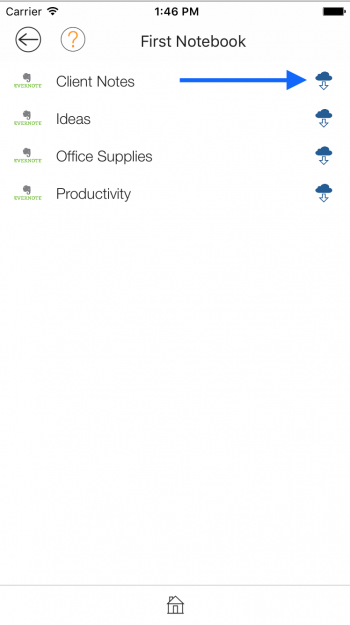 After tapping the “Sync with Evernote” button you can see the title was updated in the LightArrow Organizer App. 7. 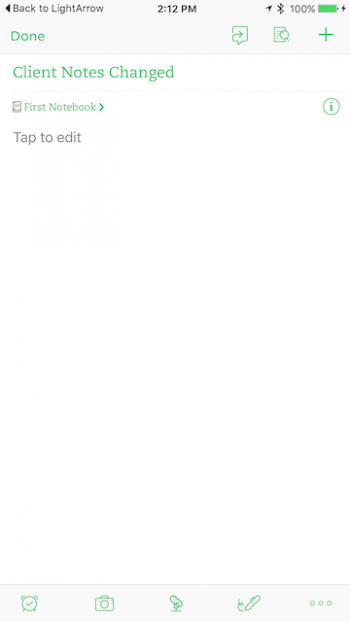 If you change the title of the note that is linked with an online note and then tap the “Save” button. You’ll see the title changed in the Evernote App. 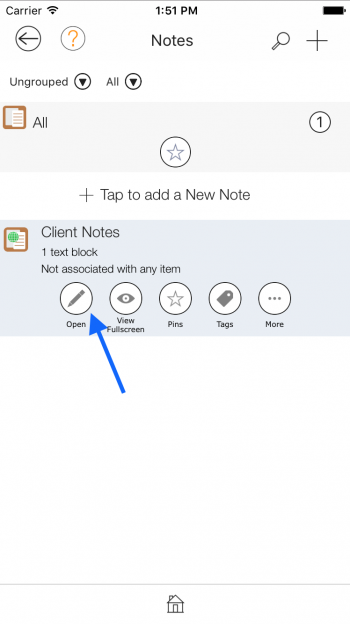 In this example the title was changed from “Client Notes Changed” to “Client Notes 2”. 9. 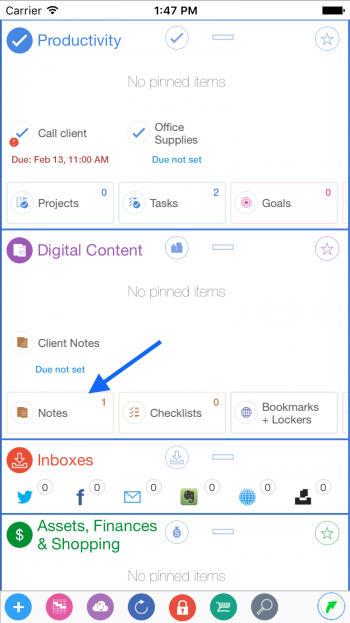 If you have synced a Toodledo Note with the LightArrow Organizer App when you tap the sync button the Toodledo note syncs the text content and displays the text content in the online note body. 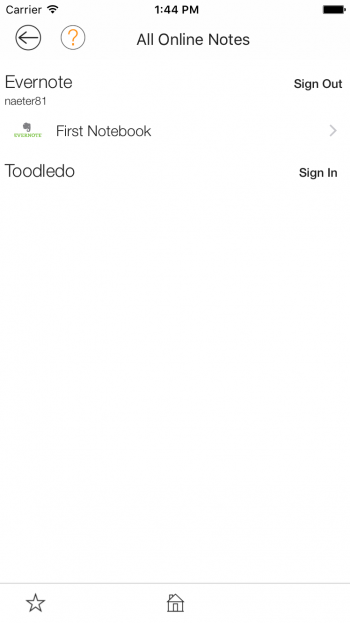 If you’ve made changes on the Toodledo website and then tap the sync button you’ll see changes in the title and the text content if any changes have occurred. 10. 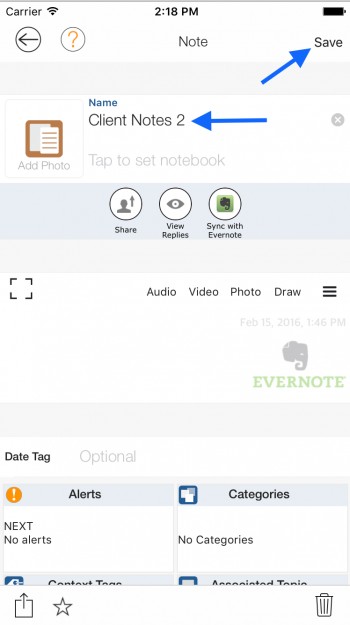 If you have a local note on the LightArrow Organizer App you can sync with Evernote/Toodledo. 11. 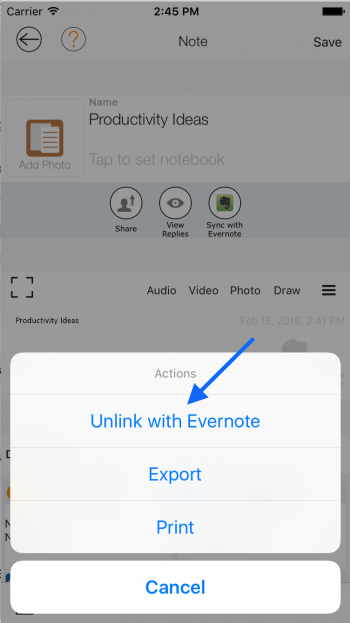 There is also the ability to unlink an online note with Evernote or Toodledo. From the note view tap the action button and than tap the “Unlink” option. 12. From the Note view if you tap the delete button there is an option to “Delete Local Only” or “Delete Local and Online”. 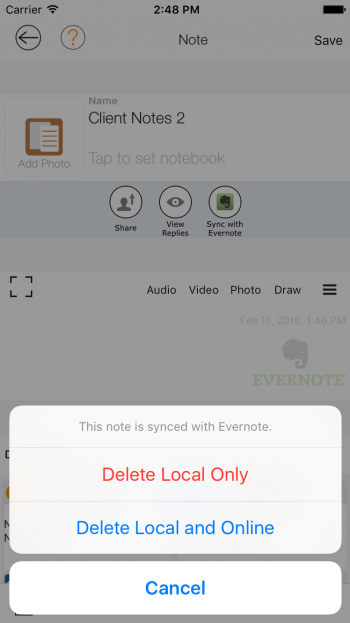 If you tap “Delete Local and Online” the note from the LightArrow Organizer will be deleted and the note will be deleted from the Evernote side as well. Toodledo has the same options.